Other Details This is one of the most hardy passifloras till date.it can be grown outside even in frost without the danger of killing it..The large dark purple blooms are fragrant too.This is a fast growing vine upto 10 feet or more which produces abundant flowers in spring and continues to flower on and off throught the year.The flowers are followed by small edible passion fruits. 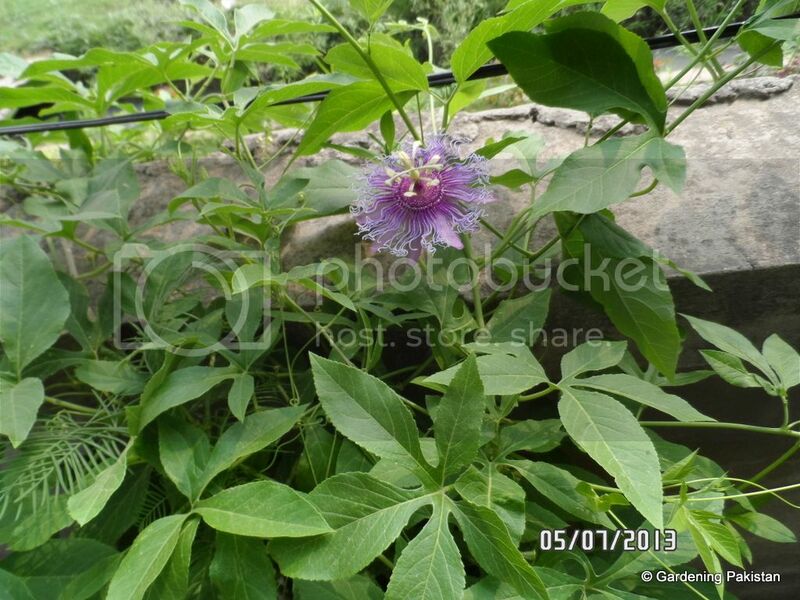 Frankly speaking i don,t like this vine.Some years back i up rooted all Passiflora vines. Me too.It looks more like a piece of artificial jewellery. Last edited by Munir on July 13th, 2013, 12:38 am, edited 1 time in total. I never planted this as I don't have a liking for its complex shape/pattern. munir wrote: I never planted this as I don't have a liking for its complex shape/pattern. Munir sahab...it is amazingly complex design, consider this as the artwork of the designer (Al musavvir). In theology, this flower has a highly symbolic value in some faiths as it represents the crown on thorns on Jesus. OK, Insha Allah I ll consider it in the impending do-over of my garden,if none else then for its frangrance. 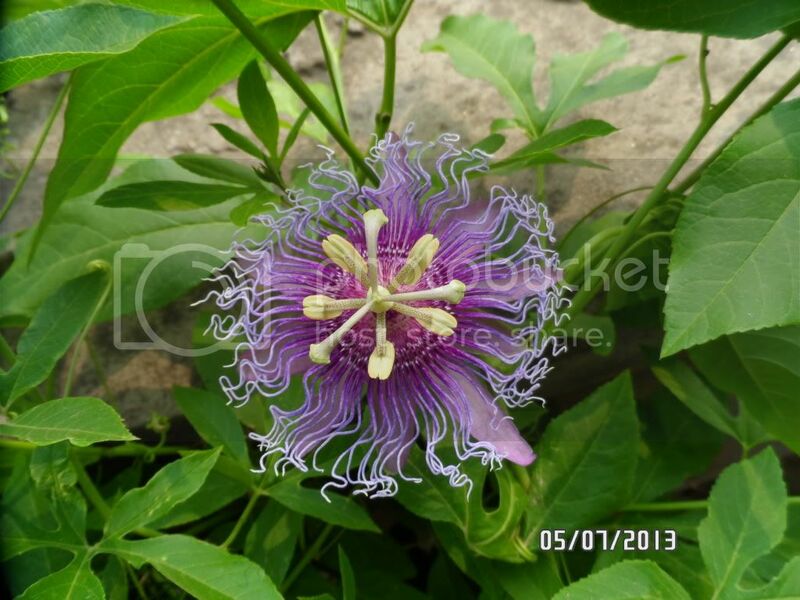 Munir sb in fact now there are several varieties of passiflora..it is a vigorous climber and if you want to cover a wall or trellis in one year then passiflora is best.i am growing several vines but it is growing very fast and also it is evergreen so a good fence. 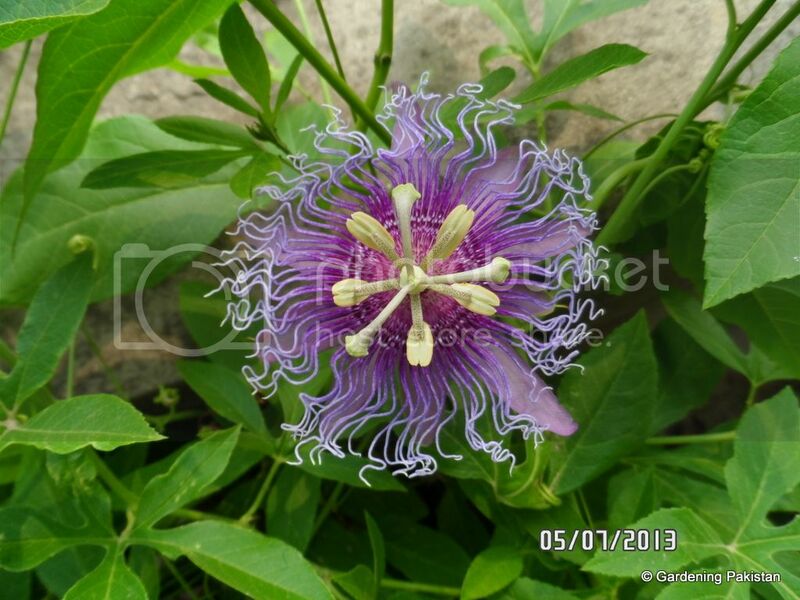 Do anyone knows, from where I can get passiflora incarnata plant which has yellowish one fruit.